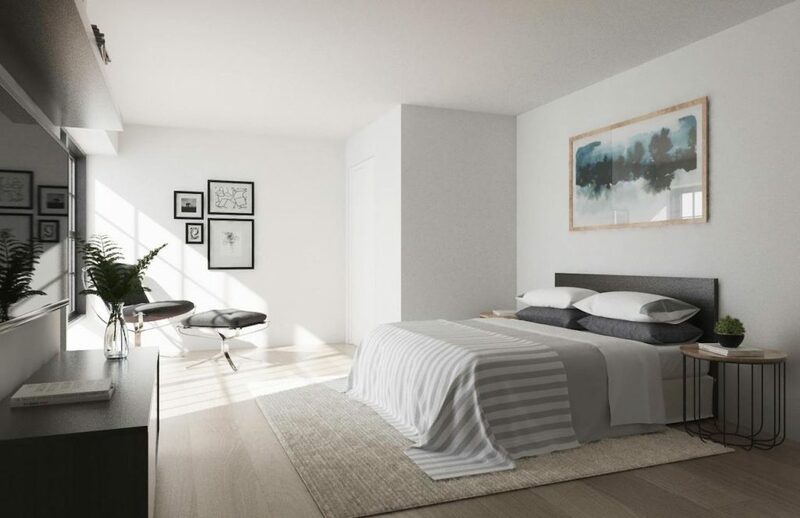 Urban View has opened registration and released a slew of new renderings for its new Bed-Stuy development, the Urban Nostrand. The new images give us our first look under the roof and a peek at one of the building’s amenities. A pair of exterior images reveal the building’s modern facade and a panoramic rooftop lounge with views of the surrounding neighborhood. 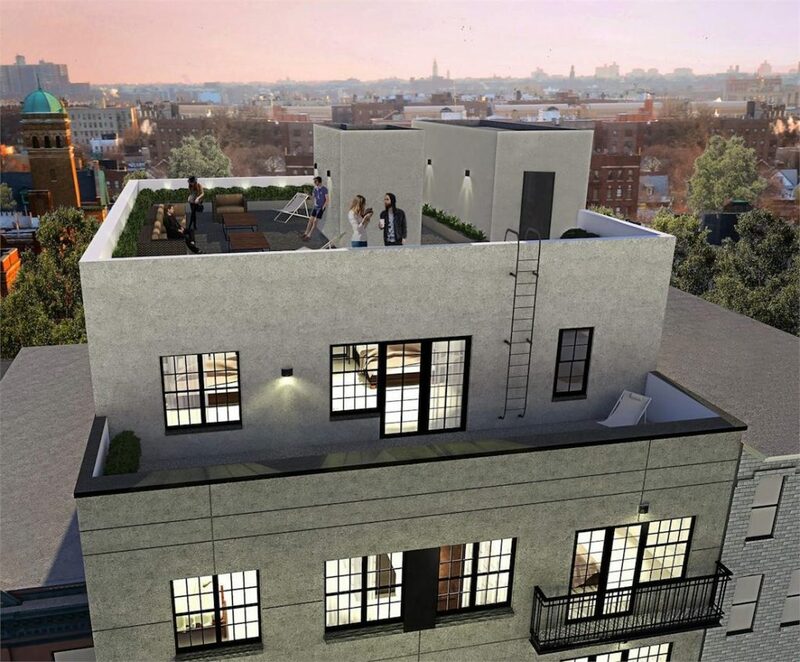 Also pictured, a ladder offers a short climb from the penthouse’s private balcony to the communal rooftop deck. 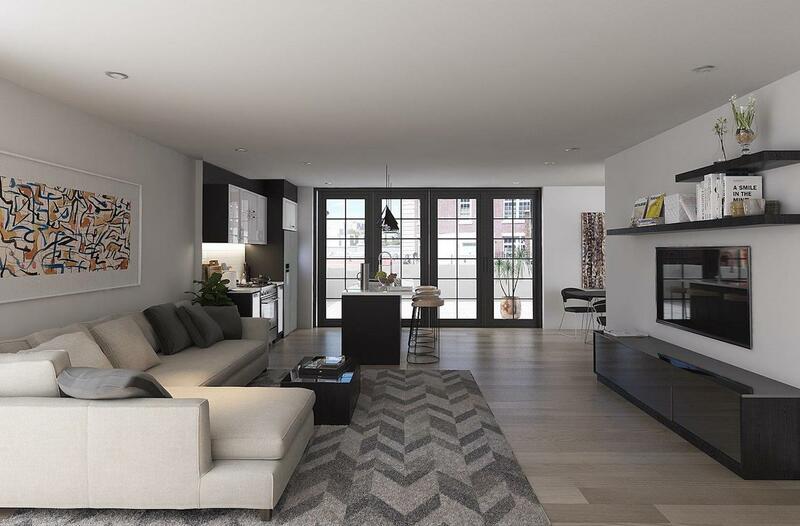 Interior renderings showcase Urban Nostrand’s open layout floorplans. 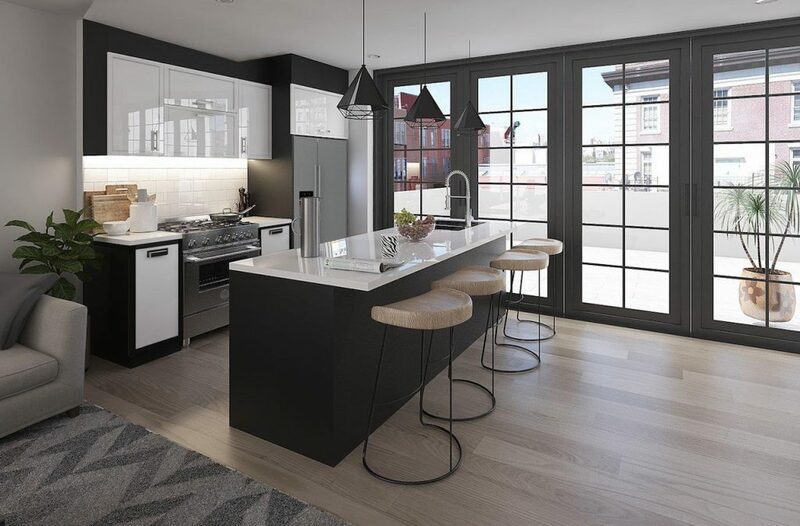 The kitchen features glossy cabinetry and sleek white countertops, as well as an array of high-end Fisher and Paykel appliances. 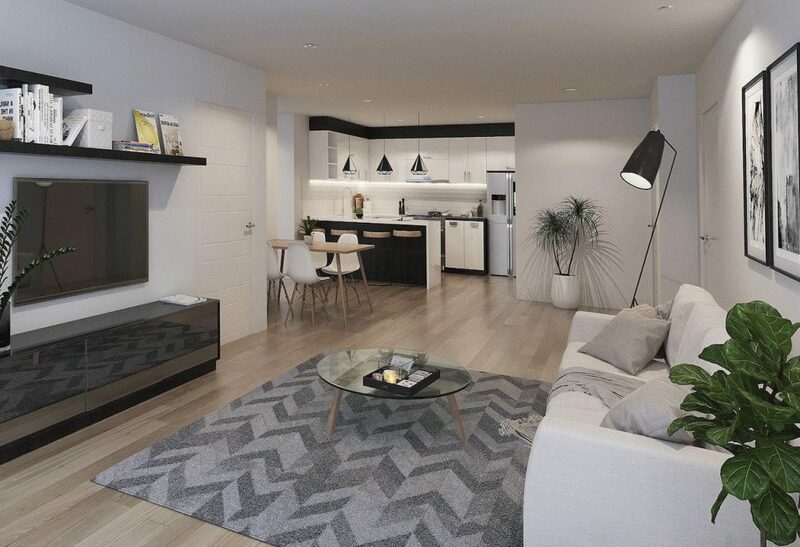 The eat-in kitchen has seating for four, as does the nearby dining room area. 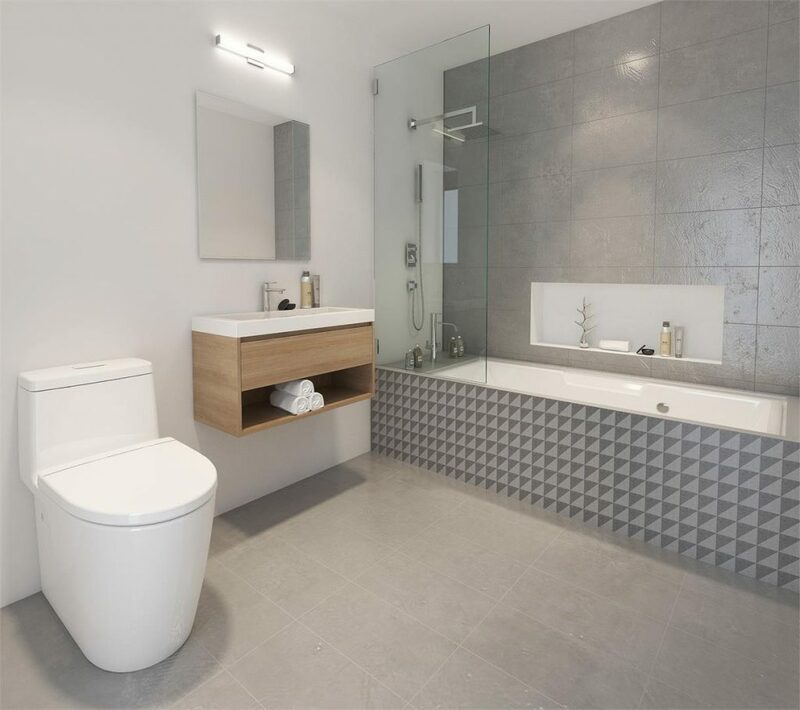 The revealed airy living room has a set of doors leads to an outdoor balcony, while Urban Nostrand’s bathroom rendering shows a rain shower head and shelving for toiletries build right into the wall of the shower and tub enclosure. 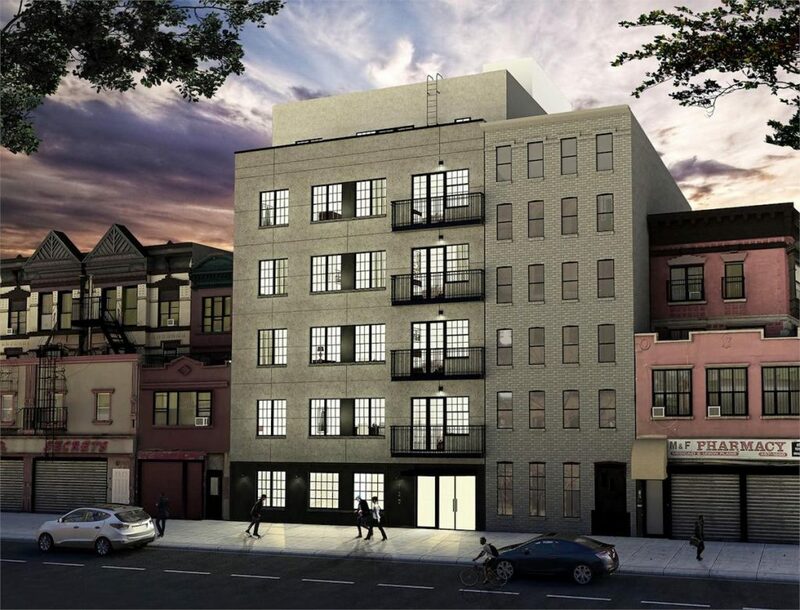 Urban Nostrand is currently under construction at 720 Nostrand Avenue in the Crown Heights neighborhood, and will house a total of 10 units when completed. Registration is currently open and sales are expected to begin by winter 2017. Sales are through Nest Seekers International.